In this thread, we will be discussing anything and everything to do with the S.H. Figuarts Final Form Frieza (Resurrection Edition). 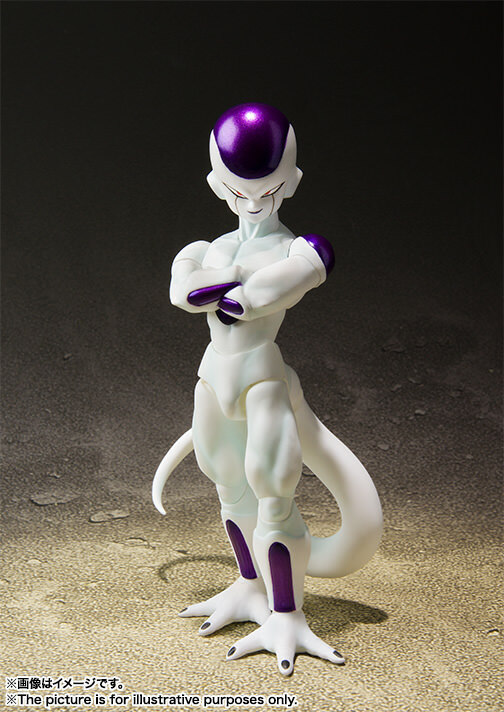 It's OK to go off topic, but let's try and mostly stay on the topic of Frieza. Thanks! My comment is on Facebook. I don't know if I'll be able to resist this one if the production version looks as good as this prototype! 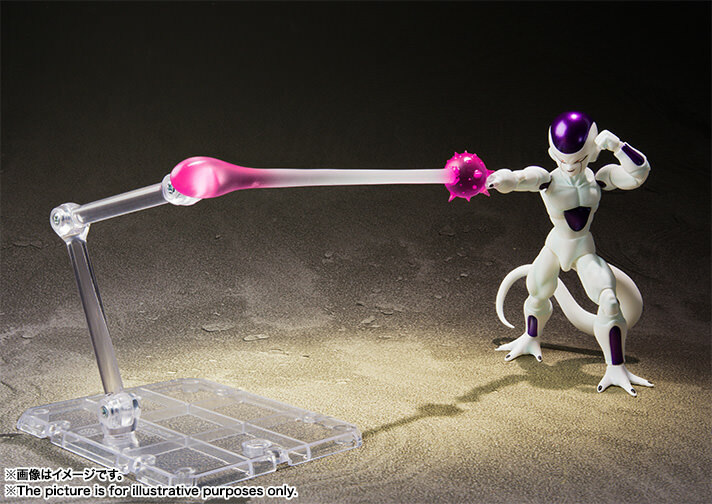 Frieza not having 2.0 articulation doesn't bother me. I don't think I'd want him if he had the 2.0 crotch. That new smiling face is a grand slam. 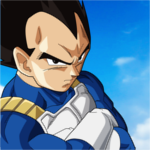 Looks like he was ripped right out of DBS. Something is off. I can't put my finger on it, though. Too white? Torso shape? But at least the heads are improved. Can’t wait for this to come out. Missed the first release. Definite buy for me! He looks even better than the original. So happy. My desire to have everything still makes me want the original just to have those accessories but hell, I'm very happy. 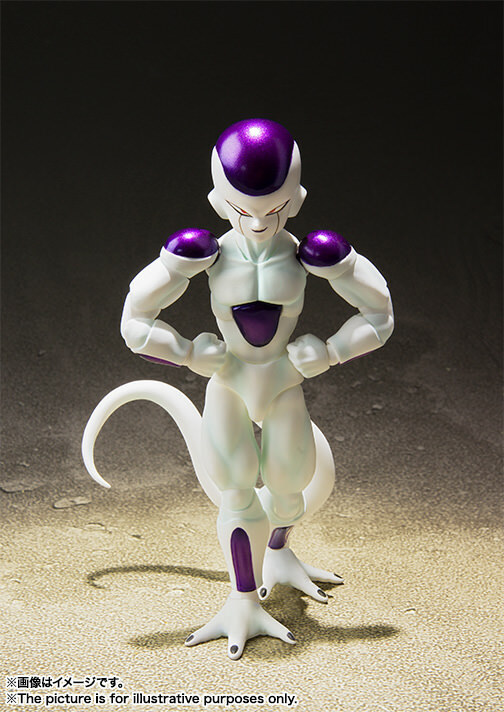 According to his official page, he does come with the crossed arms!! yes we got cross arms!! 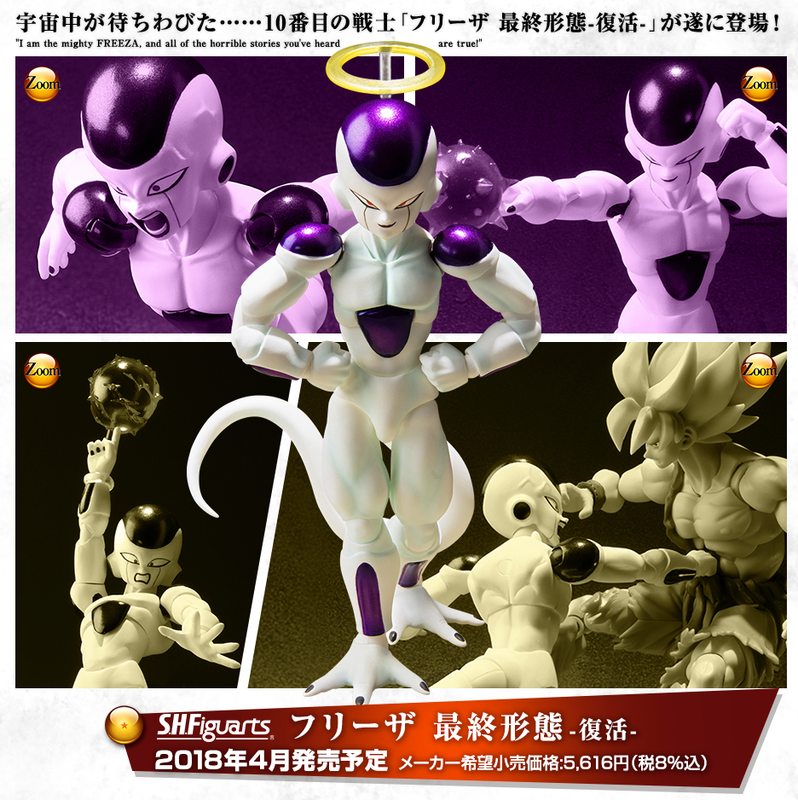 Might as well call him "Tournament of Power" Frieza. 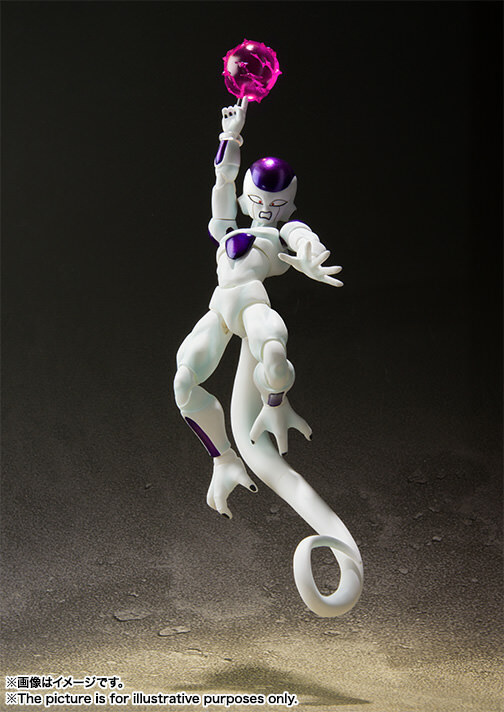 His first form would better suit "Resurrection of F"
This Frieza figure is awesome! I hope the final product is as good as the pictures! 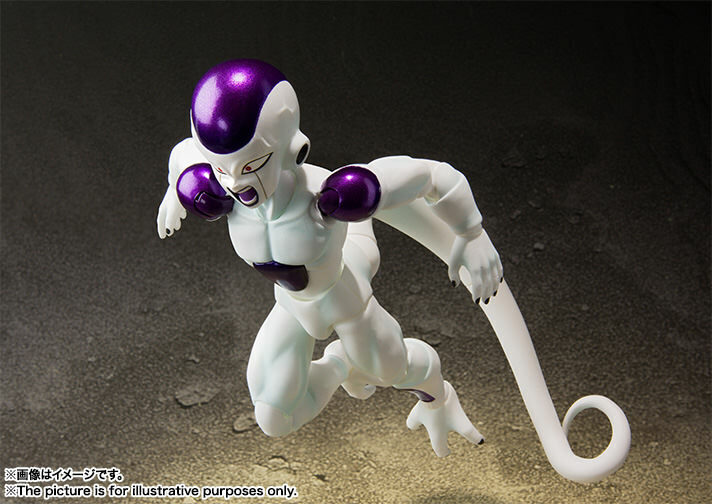 And the wait begins for Freeza (yes, that's how I spell it, deal with it) 1.0's price to go down. 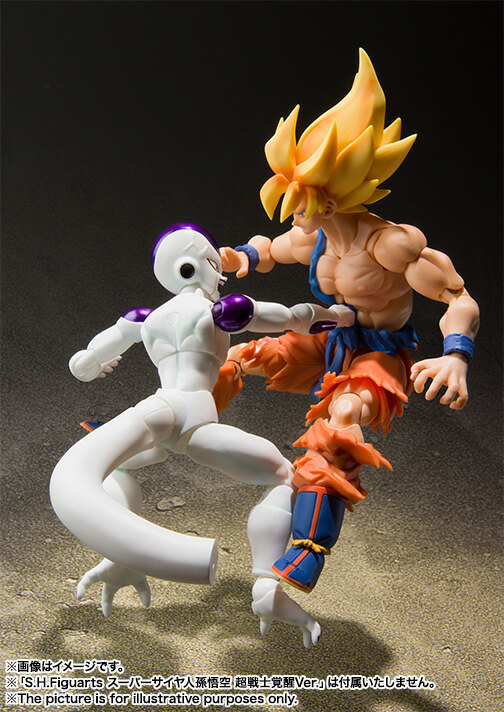 Though, I probably will still try to pick this one up, but the new Goku looks much better in my opinion. Review, for people who are interested. If you don't mind the box coming kind of squashed, ordering one from Barnes and Noble like I did with a 20% off coupon (or 15% one) is a decent deal. I got mine. It was a bit smashed. But for around $40 it was a good deal. This figure looks so much better than the original. 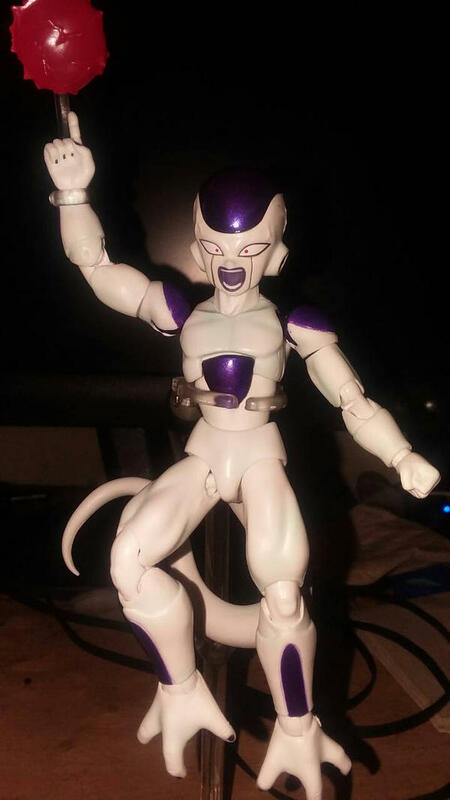 The hips are not perfect looking, but I don't think Frieza needed a 2.0 to fix him. He just needed better faces and shoulders and they fixed those. 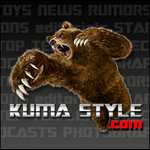 ◄VR► great review again. You do a good job! I can actually sit through your entire reviews, unlike almost every other figure review I've ever watched! 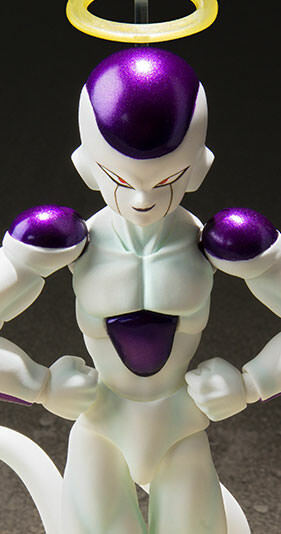 I'm now more tempted to actually open my Frieza's package and display him. I do own Awakening SS Goku, so perhaps I should open him as well.